You hear it right, with QExpo approaching, I decided to set up a little "mapping competition" and give everyone a chance to become the owner of one of those classic and critics-acclaimed games! To enter the competition, all you need to do is to create a map for my mod TRANSLOQUAKE, upload it (and its source) somewhere before the 16th of August 10pm Central European Time, and post at least one screenshot of it on this thread (or one of the ones created on the other forums listed below), along with your name and contact email. You have the right to submit as many entries as you want. After the closure of the competition, and during a full week, all the members from Quake1-related forums (Inside3D, Func_Msgboard, QuakeOne and QuakeDev - voters will need to have become members before July 7, 2008) will be invited to cast their votes (only one vote per members across all forums) on which three maps they like best. The author of the first best map and the author of the second best map will each get to choose from the list above one game, which will then be sent to them. If the first two best maps were created by the same author, he/she will win both games. If maps "tie" for first and/or second place, a second round of votes will take place. Note that, if less than 8 maps are entering the competition, only the author of the first best map will receive a prize (but hopefully this won�t happen). If more than 8 maps enter the competition, but they are made by less than 5 different mappers, only the author of the first best map will receive a prize (again, I hope it won't happen, but this is just to make sure one single participant does not "fill" entries in order to reach the amount of 8 maps). TRANSLOQUAKE ( example map: http://cocot.planetquake.gamespy.com/transloquake000050.jpg ) is extremely easy to map for, so I really encourage everyone to give it a try. "Speed-challenge" maps can be created in only a couple of hours and I am sure newbie and veteran mappers alike could create "regular" maps for it very easily. You are strongly encouraged to use skyboxes (the demo already includes a few you can use) and, if you wish to, custom soundtracks. The mod was initially developed under Darkplaces, but it is supported by most other engines (even though you might then miss on some of the eye candies). If you don�t know what the mod is like, go ahead and make sure to download its newest demo which has just been released - right here : http://www.mediafire.com/?21zfz1m2vzy (more mirrors will probably follow soon). It contains 5 maps (and their source), including 2 speed-challenge maps (bonus1.bsp and tr13.bsp), 1 regular map (tr5.bsp), 1 tutorial map (start.bsp) and 1 mapping guide map (mapping.bsp). The download also comes with a special document that will tell you exactly the kinds of entities Transloquake maps need to run. Remember that Transloquake is still a project in the making. Please don't discuss its development on this thread, used this thread instead: http://forums.inside3d.com/viewtopic.php?t=610. 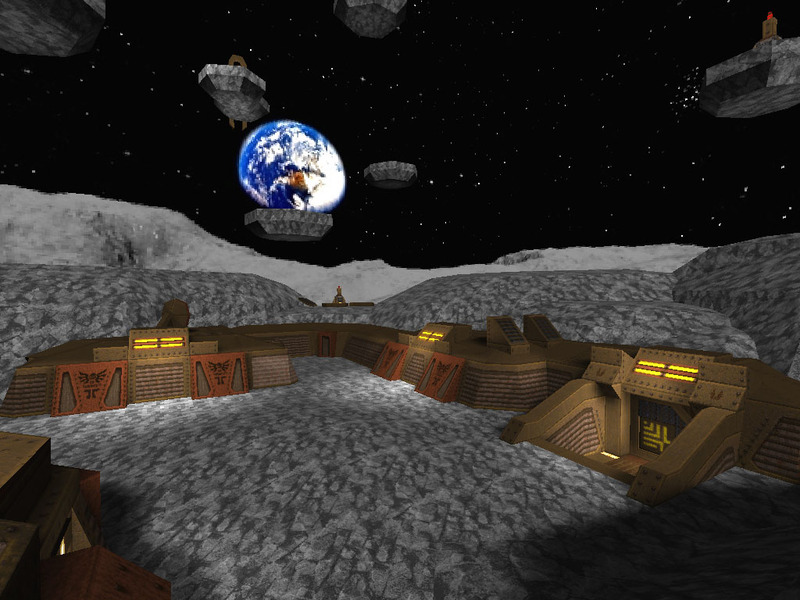 Future versions will include better models, more game modes (including deathmatch ones), more maps. The config seems not to use the same as the readme says. I added the infos from the readme to the keys below, could you please explain the others? bind "c" "+movedown" //cancels a translocator which you have just thrown. You start the level with 5 of such bonus. H and S are unbound? The ORANGE pentagram gives you one "perfect horizontal shot" bonus. Press "H" before firing your translocator and it will go in an horizontal straight line. The BLACK pentagram gives you 5 "sticky shots" bonus. Press "S" before firing your translocator and, after firing it, it will stuck onto horizontal surfaces instead of bouncing off. - The games are PC games. I apologize to Mac users... If a Mac user wins, we'll find some type of arrangement. - bind "c" "impulse 124" // //cancels a translocator which you have just thrown. You start the level with 5 of such bonus. yeah - you've lost me!!! Inside3D's the place , isn't it? Transloquake is a mod (for now, single-player only, but that will change) where the translocator is the central "weapon" involved. In very simply terms, the goal of most maps is to teleport yourself around the map to pick up all the "keys" of the level, sometime within a limited amount of time. 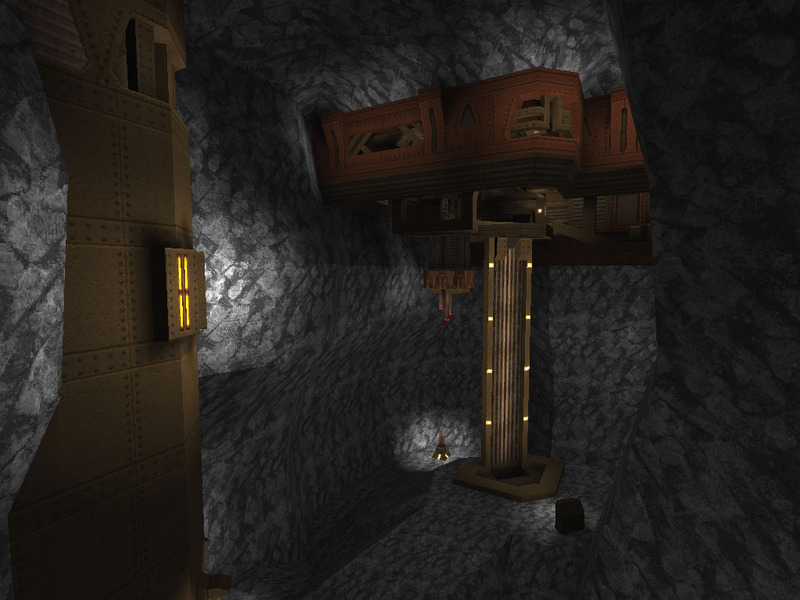 Most maps involve ascending a level and avoiding to fall into traps. Hehe... sorry about that. I think a good way to see how it works is to watch the videos (the fireflies one doesn't really have keys, but it still gives you a sense of how people move around the level) and try the tutorial map bundled with the mod ;) You'll see, on the whole, it's pretty simple. I realized I forgot to point out this is Fitzquake-compatible, by the way (I know many of you guys use it), it's not DP-only. I would really love to map for this, as it's fun and I can imagine quite some brushes. But I really have no time/motivation and in the moments I do I work on other stuff for QExpo or Quaddicted. Haven't even played this much even though it is a perfect idea to me. Well, hopefully later. Thought about doing some introduction/tutorial maps. My chance to finally get TF2 and pester Scampie! Contributing a simple map should be feasible, but then again there're so many current projects and competitions I'd like to make a map for, that time might be an issue.. We'll see. that most [if not all?] of the games in the prize list are available on Steam. Would a Steam version be a viable alternative to a physical, boxed copy, should the winner so desire? Quake4, Rainbow Six Vegas and Timeshift aren't available on Steam. Unreal Anthology isn't there either. CocoT hope u get lot of people to map mod look fun :\ but i will not have time for it, becouse i want to finish my maya map and make a speedmap to Qexpo. maby in another time of life i will make a map for this mod! but games? roulffff i dont play any other game than Quake :) so... price is nothing special to me! Does that mean you'd have to buy the games first? IMPORTANT UPDATE: With QExpo being somewhat postponed and people asking me for more time for this competition, it was decided to push the deadlines for submitting maps for this competition by exactly two weeks. The second part of the mapping competition has now officially started! If you're interested in mapping for TransloQuake and possibly win a game, here is your chance! The new deadline is March 1st. But I don't have a PC with Internet Explorer. Is there a non-fileplant download link perhaps? I'd take a look if I could download it. And in a bit of a deja-vu moment, the competition officially closes with only one entry, which thus automatically becomes our winner! I must say that, as was the case with Entar's map, I applaud the quality of this entry and congratulate Negke (as well as thank him) for offering some of his time for this mod! Negke: please feel free to email me or pm me in order to arrange the delivery of your prize! Would a Steam version be a viable alternative to a physical, boxed copy, should the winner so desire? So a Steam copy is nonphysical? You mean the difference between software and hardware? Electrons, photons and so on are physical, just like everything else. Steam downloads are physical. As far as I can tell, the colloquial usage of "physical" means "holdable" i.e. "you could hold it, if it was there". Compare with "feelable" (ooh!) and "bashable". Freedom, fate, consequences, the plain of Leng, the fourth dimension . . .
You�ve got me on elctrons and photons though - and concepts could be said to inside the human head. no, because the electrons used to store the download on my hard drive are not the same electrons used to transmit it to me, nor the same as the electrons used by the server to store their copy. Nice Try At The Troll, Metl! You're The Troll... I'm The Big Bad Wolf. They may have similarities, but they aren't the study of the same thing. Make sure you past the definition from dictionary.com so your idiotic tangent will be complete. Don't want to leave any stones unturned here. Don't want to leave any stones unturned here. Well... mebe a single electron could make it from the steam servers to your PC, then be used to transmit across your buses and then be used as part of the storage. Theoretically. OK, you inspired it then. Like a beautiful muse dancing gracefully in a flowery meadow. The question remains - is it physical? In hyper nerd terms, yes. In common definition terms, no. Play my map or something. I can't play your map: I am not connected to your mysterious metaphysical world through which I can obtain the requisite data! According to the media, you'll go on a killing spree. I R SMART AND UR NOT HAHAHAHHAHA!!11! YOUR PROTONS ARE HURTING ME!